Twenty Four years have crept up on me; they’ve come and gone whether welcomed or not. I’m beginning to experience that stage in life where birthdays are dreaded rather than anticipated, yet each and every year I question that judgement since my birthday is always one of the most wonderful days of the year. To start, my birthday falls around Thanksgiving weekend every year. A time when the weather is changing, the leaves are coloured, and the hot coffee is ever-flowing. But the most important part is my wonderful family and friends who make me feel so special. My weekend consisted of lots of family visits, lots of hugs, and lots of food – everything I could have asked for. 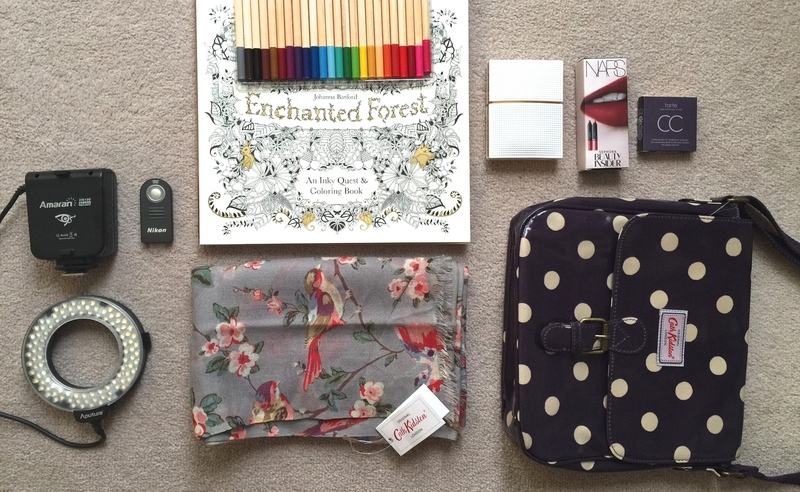 I received some wonderful gifts and even managed to squeeze in a little shopping for myself! Nothing better, eh? I stopped off at Sephora and picked up just a few things, including the Sephora 2015 Birthday Gift from NARS, the Mini Velvet Lip Pencil in Cruella and the Mini Satin Lip Pencil in Rikugien. I then grabbed the ever-coveted, often lusted after, Elizabeth and James White Nirvana eau de perfume, as it’s something I’ve wanted for so long and finally decided to treat myself with. And finally, the Tarte Coloured Clay CC Undereye Corrector in the shade LightI, which can hopefully deal with these dark circles under these 24 year old eyes. And, just for fun, instead of heavy drinking and dancing, my friends and I decided to have a low-key fun night at a Toronto escape room. We went to Trapped Canada in Markham and it was so fun. 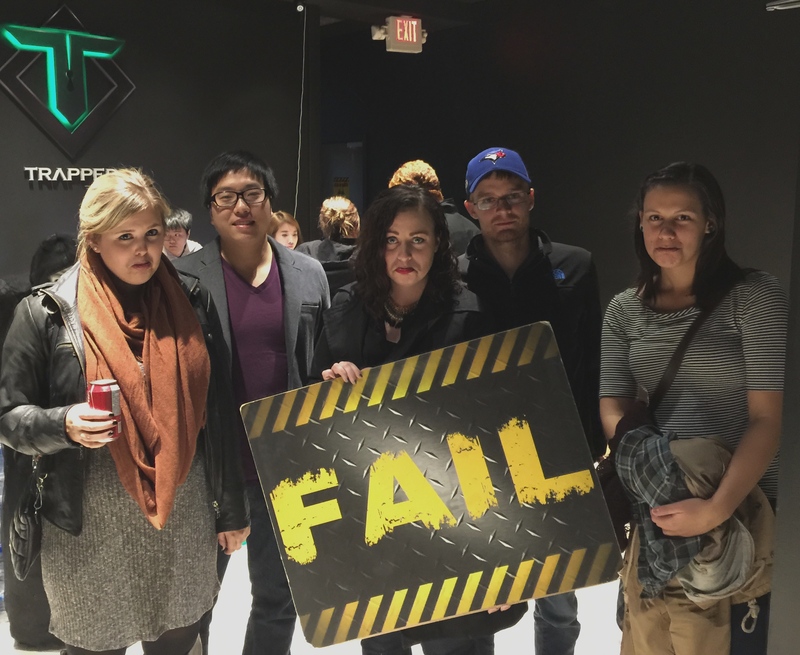 We failed…..but they did mention to us that only 4.8% of groups have been able to complete that room. It was impossible. Can’t wait to try it again! So cheers to that start of my 25th year. Can’t wait to see what it brings! Sounds like you had a great time. Best wishes for the year ahead.